This will likely be my last blog post this year (unless something crazy-awesome happens to share with you guys). I hope you have a very Merry Christmas and a safe and Happy New Year! May you find lots of fabulous reads under your tree and may Santa bring you love and joy for your heart. I hope you get to spend time with your loved ones and friends, as I will be doing. When my kids were itty-bitty and thought ornaments were their play toys, I stopped using glass balls. 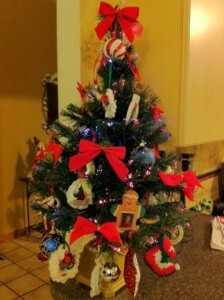 Instead, my tree was decorated with homemade ornaments, memorabilia, red bows and colored lights. 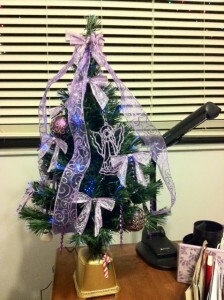 This year I decided to have three trees, including a grown-up one. 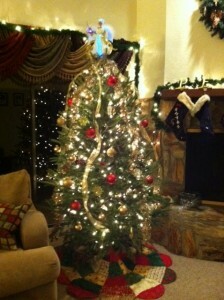 My pretty adult tree decorated in gold and silver and a splash of red. 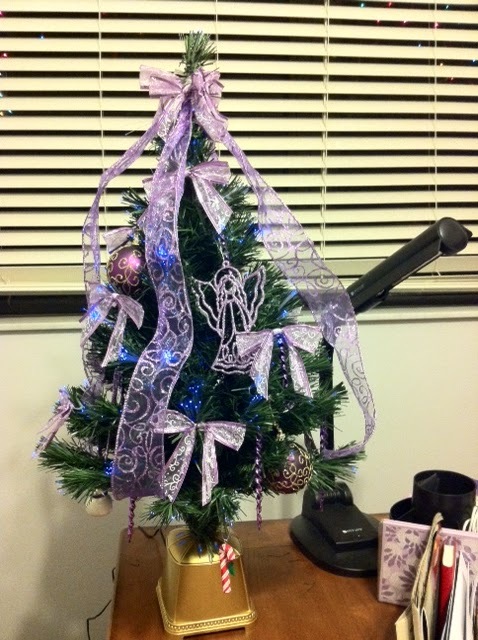 This is what my big (and only) tree used to look like – bright colors and fun shapes. And since it’s technically Foodie Friday, I have something else to share. Santa came early for me. 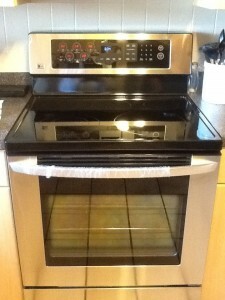 Actually, his elves showed up in a truck at 8 this morning and The Man said, “That must be your stove.” “My stove? !” I squealed. I hadn’t been expecting it! I can’t wait to bake cookies and cook Christmas dinner! My old one cooked unevenly, baked even worse and wasn’t a glass-top. I so missed the flatty I’d had for years before. 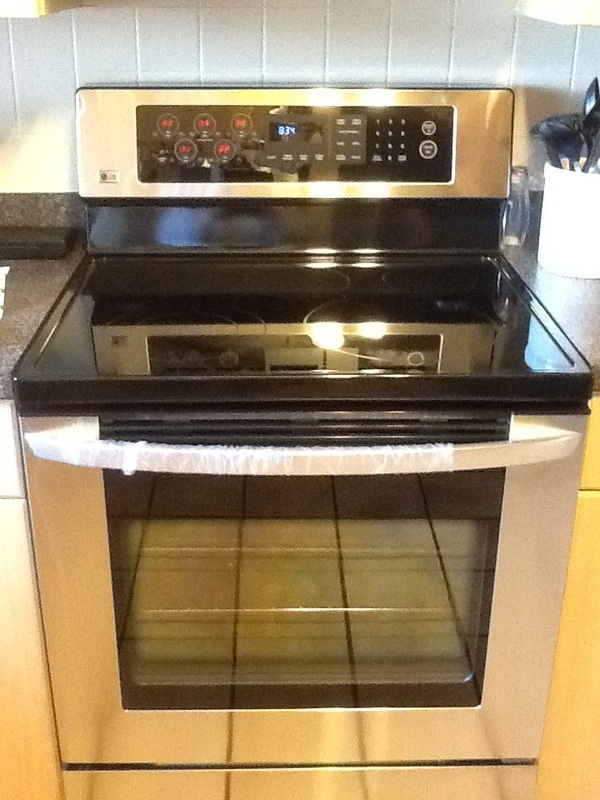 And this one is a convection oven, too…which I’ll be learning how to use. Wishing you lots of smiles! See ya next year, lovelies! 2 Responses to Merry Christmas! Happy New Year! you have such beautiful trees! Now I feel all festive again. I hope you had a wonderful holiday sweety!